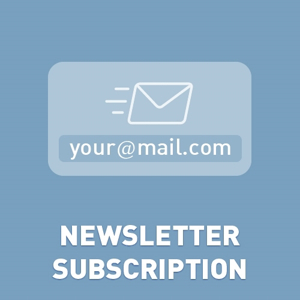 Newsletter Subscription popup window with Discount Coupon and Reward Points. Newsletter Popup plugin helps you in achieving more subscribers for your newsletter system by a newsletter popup form. Plugin has a lot of settings. Try it free. Compatible for NopCommerce 4.10, 4.00, 3.90, 3.80. - fixed bug 'Don't send discount code'. We added it in release 1.05. - fixed bug 'plugin didn't decode token NewsLetterSubscription.DeactivationUrl'. - added new parameter 'Auto-hide newsletter box after X seconds upon successful sign-up'. - added new parameter 'Show popup window unless the X is clicked'. + fixed bug 'Don't display popup window if you don't want to add any discounts.'. + added feature 'Delete old coupons'. The store's owner can delete expired and used coupon codes from plugin configure page. + added new feature 'Cookie name'. The store's owner can set the name of cookie. + added new feature 'AntiForgeryToken'. This feature helps to protect your store against bots.